Mickey Mouse's loyal hound gets his first taste of the pop-art treatment, and boy are things looking bright! Covered ears to paw in Romero Britto's signature colors, lines, and dots, this is Pluto like you've never seen him before. 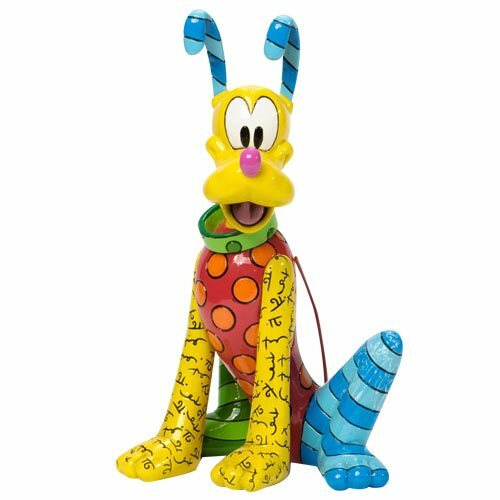 Sculpted from stone resin, the handcrafted 8 1/5-inch tall Disney Pluto Statue by Romero Britto is hand painted and finished with a glossy top coat for an upbeat sheen. Disney by Britto captures the fun and whimsy of Disney in the vibrant hues and bold patterns of pop-culture phenomenon Romero Britto.